It is an open secret that nobody cuts trousers and a jacket like Giorgio Armani. The Italian, international fashion designer and founder of the Giorgio Armani S.P.A fashion house exploded on to the international fashion scene when his suits were worn by Richard Gere in the 1980’s movie American Gigolo. Since then, Armani has cut a niche for himself in tailoring impeccable men’s and women’s suits that are among the most sought-after sartorial products in the world. The Giorgio Armani name is synonymous with prestige and high-fashion glamour and the brand has distinguished itself as one of the most successful brands in the world. It designs, manufactures, distributes and retails its wide range of products under several sub-labels that include Giorgio Armani, Emporio Armani, Armani Collezioni, Armani/Casa, Armani Junior, AJ | Armani Jeans and AX | Armani Exchange. The Giorgio Armani style is characterized by luxurious fabrics, muted colours and a distinctive round up of ethnically diverse models on the runway. Armani style excels at power-dressing with bold statements of glamour and stunning yet staid understatements that have helped build the brand name. Armani runway and red-carpet creations are opulent and luxe, but with necessary sombre notes that masterfully play the balancing act of luxury and restraint with a grace and charm that still mesmerises Armani clientèle. 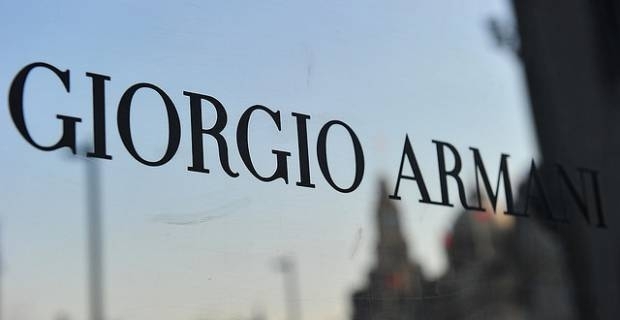 The Giorgio Armani S.P.A fashion house range of products include high end, ready-to-wear shoes, eyewear, cosmetics, watches, accessories, home interiors and jewellery. Emporio Armani line is the only Giorgio Armani sub-label designed by Giorgio Armani himself. It focuses on modern traits and trends and show cases every year at Milan fashion week. Armani Collezioni, Armani Exchange and Armani Jeans are not featured on the glamorous fashion week in Milan. Emporio Armani diffusion line has boutiques in Milan, New York, Tokyo, Los Angeles, San Francisco, Amsterdam, Istanbul, Melbourne, Zurich, Mumbai, Santiago de Chile and many other cities of the world.